PROVIDENCE — Yikes! I thought. It turns out the 61 percent of this waste comes from residential sources. “That’s you and me,” Beling said, scanning the audience. The collaboration between Keep Blackstone Valley Beautiful (KBVB) and the Woonsocket public schools is a real win. Realizing that food waste made up 30 percent of the school’s trash, the school department agreed to set its food scrap aside so that My Blue Heaven Farm in Pasoag could collect it to serve to its livestock. Low-key marketing that included a picture of a pig on the trash bin with the caption “GREAT food for pigs” got elementary-school students to put their leftovers in the bin. KBVB’s Donna Kaehler said North Smithfield and Cumberland public schools are also involved in the program. Banquet chef Todd May of Twin River Casino described a process by which he had significantly reduced waste. Matching Excess and Need for Stability (MEANS) database. Rules about the temperatures foods need to be kept at and other safety matters, combined with federal and state Good Samaritan laws protecting the provider, make the program work. A total of 85 food charities are currently registered with this food-recovery program. 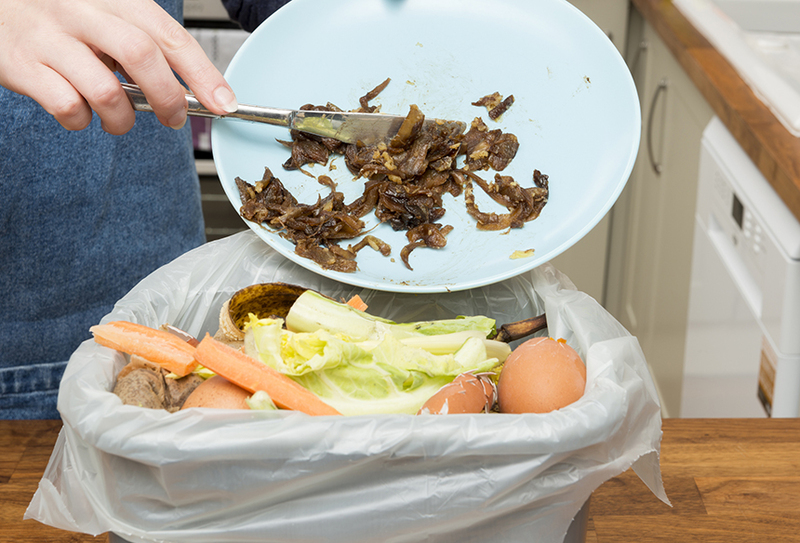 Food waste is being diminished, however, not only through programs connecting those producing food with consumers, human or otherwise, but also through the increasing reach of composting organizations, which keep food from becoming waste not by feeding others, but by turning food scrap into natural fertilizer. A few large-scale operations in Rhode Island such as Earth Care Farm in Charlestown, The Compost Plant, and the long-delayed digester in Johnston are working to transform food scrap into nutrient-rich soil and energy. Johnson & Wales University head chef Ken Watts said initiating a program to reduce, divert, and recover/re-use/repurpose food scrap has cut waste and lowered food costs.